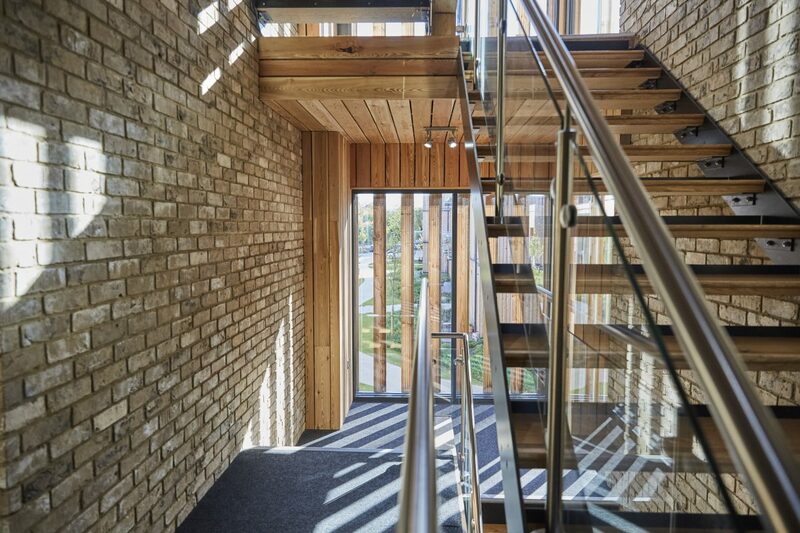 The welcoming brick and timber clad internal communal areas, complemented with stunning contemporary landscaped gardens, contribute to a comfortable feeling of luxurious value for money. 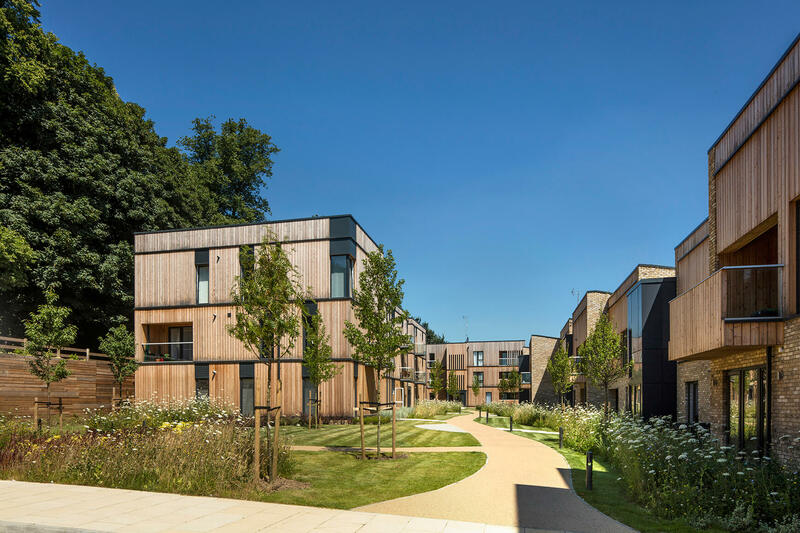 The site’s design welcomes residents home and the warm Siberian larch reflects the silvers when the sun passes across, giving a decidedly Scandinavian feel. 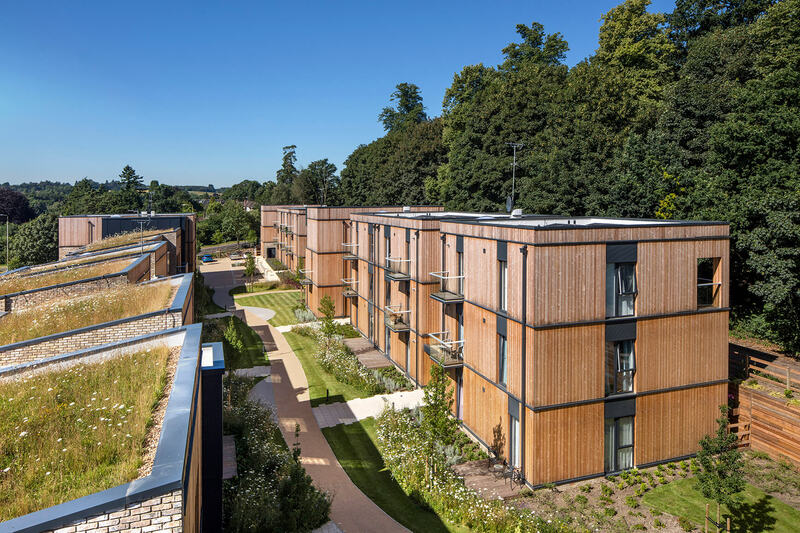 Clock House Gardens transformed a derelict hotel site into an intimate community of 50 new, more realistically priced apartments. Stockwool was chosen as the architect for this scheme because like Developing London, they saw the challenges of the site as an exciting opportunity to do something different. 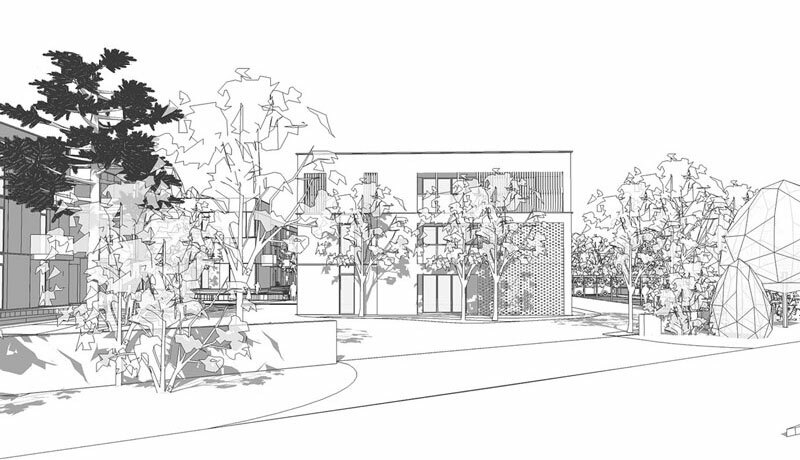 The concept, a modern take on a walled village, was informed by the unique combination of urban and rural surroundings. It sought to reduce noise and pollution from the A1(M) motorway. Renewable and low carbon energy systems were incorporated into the design with solar panels feeding both the communal power and car charging ports. "We are delighted with the apartment. The modern finish: beautiful wooden flooring and doors and stylish bathroom and kitchen fittings make an impressive home. 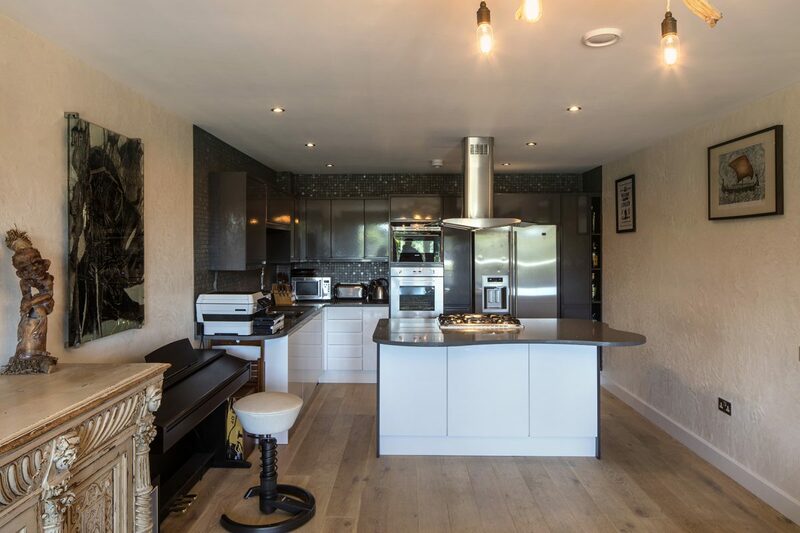 With beautifully landscaped gardens and allocated parking bays the apartments are superbly presented." 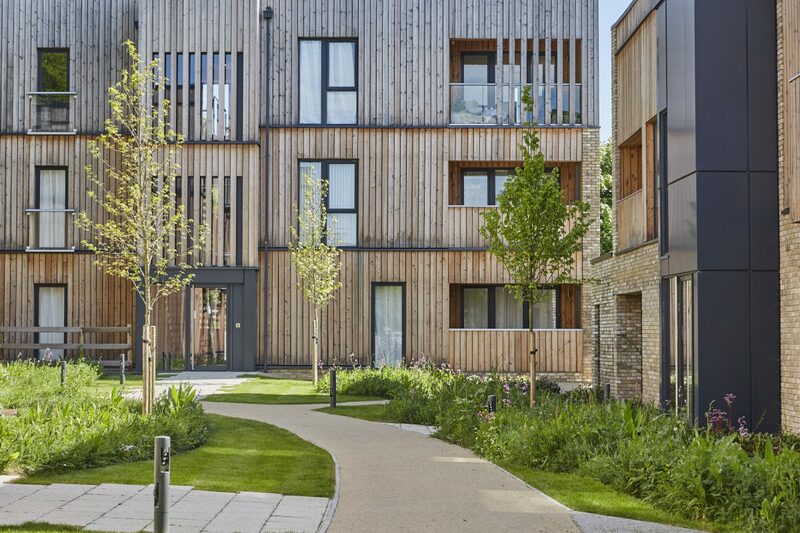 "The striking design, nice village and speedy links into London (20 minutes on workdays! ), made this a no-brainer for me! Clayton and the guys at Developing London have done a great job with the site. They’re a relatively small firm, so there’s a personal element to how they operate. Prior to move in, or during a tiny snagging period, they picked up my calls and sorted any issues out in no time. I've found the experience painless and straightforward, which was great for me being out most hours in the City. I would have no hesitation in choosing or recommending another property from Clayton and his team again." 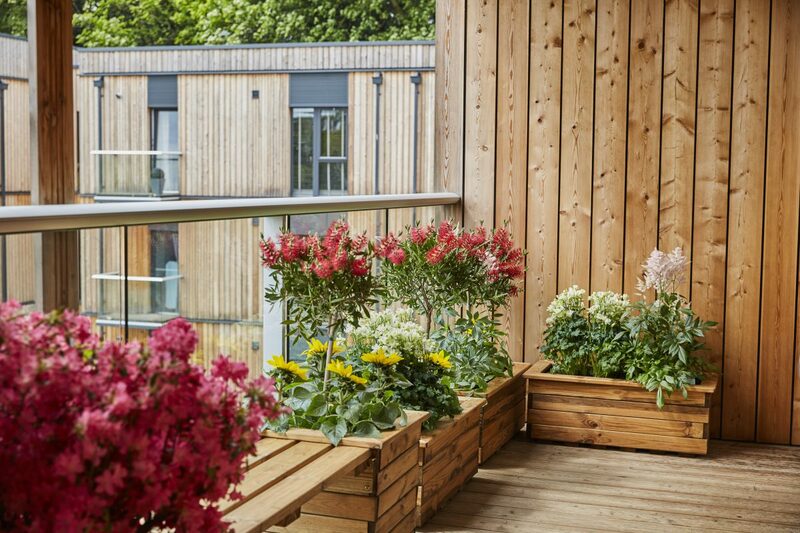 "I could not be happier in my ground floor flat at clock house gardens, the build quality is excellent, the area very clean and kept tidy, the gardens well groomed. I've been here 18 months and not had a single problem. It is a friendly and quiet community. Can't ask for more, very very pleased. Well done Developing London." "As a property, it’s difficult to fault and working in the building industry I tried. Developing London have gone out of their way to make purchasing and living in this property a pleasure. I feel the attention to detail with the finish both interior and exterior has not been ignored to save on costs. Everyone that visits are all impressed with the standard of finish I think Developing London set out to achieve. I am more than happy with my purchase and I think the national developers would find it hard to beat the standards set by this up and coming company. I would recommend to anyone that a purchase from Developing London would be money well spent. Thanks Clayton and the team"
"Whilst searching for a property for some time without much success I was introduced to Clock House Gardens in Old Welwyn, Hertfordshire. Not having heard of that exact area I was a little apprehensive in potential investment, until of course I went and spent some time there quickly taking a liking to the village and drawn to its historic buildings and capturing character. 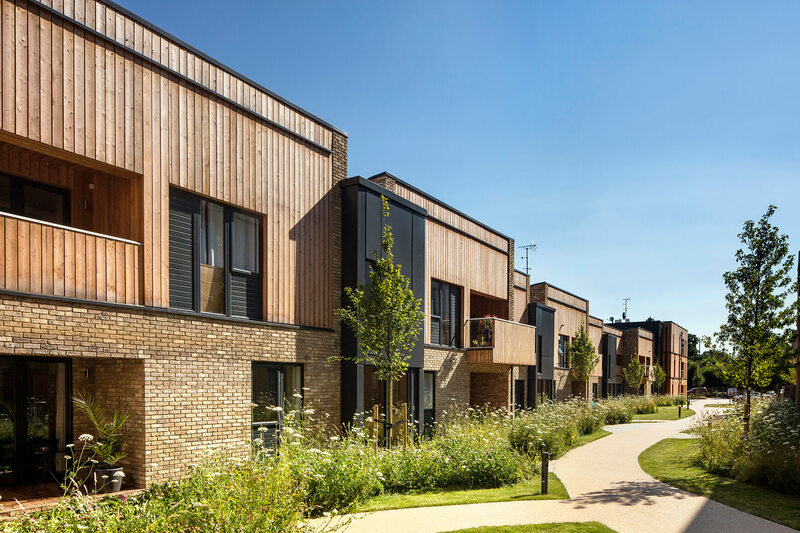 Clock House Gardens however are a modern build, embracing a spacious countryside feel but with all the luxuries a person could want from a new build development, encompassing great style at an affordable price. 1 year later Clock House Gardens has shown to be a brilliant and worthwhile investment. I’m absolutely happy I took the off plan plunge and found I have been attributed a lovely place to live in and own for many years to come." "I am extremely happy with the new apartment I bought for my mother. The gardens are beautiful and the Developing London staff have been extremely helpful. There is little they will not do." "This didn’t feel like a typical new flat purchase at all – thanks Clayton for being so passionate and enthusiastic about the Clock House Gardens development – it really felt like you were as excited as we were about how the flats turned out and we’ve never known a builder like you – really direct, friendly, helpful and easy to contact, with loads of flair and vision– it’s been a pleasure from start to finish – trouble is we’ll be spoilt for the future, there can’t be many out there like you. Best of luck with all your future ventures." "I love the design of Clock House Gardens, well planned whilst retaining a really natural feel. It's visually attractive with a lovely community atmosphere. I enjoy sitting on my balcony overlooking the forest with a glass of wine in my hand." "I am delighted with the apartment and its excellent standard of finish. I have had only good comments from my tenants about both the apartment and the development. They are very happy there." 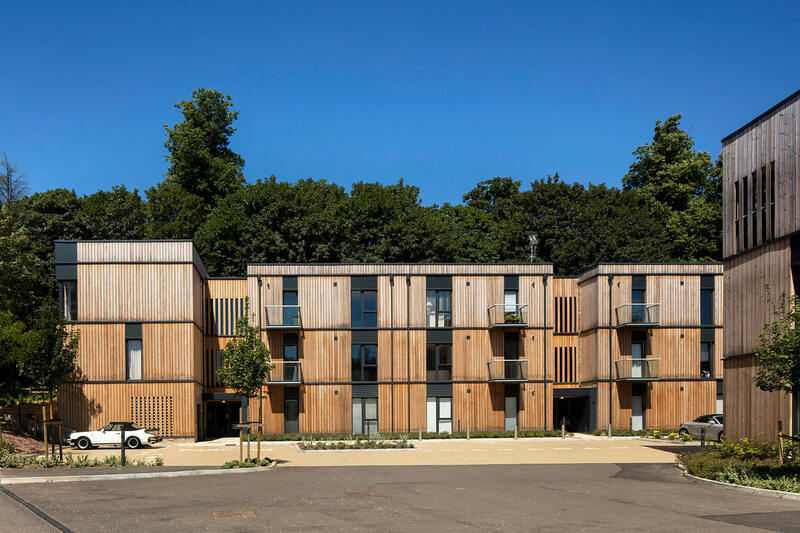 "We purchased a one bedroom flat off plan in Clock House Gardens which has now grown into an attractive development incorporating modern design. Our flat has been finished to a good standard with quality fixtures and fittings." "Been extremely pleased with the apartment since moving in, very spacious and well finished. The development is well maintained and the residents all very friendly creating a nice community environment. 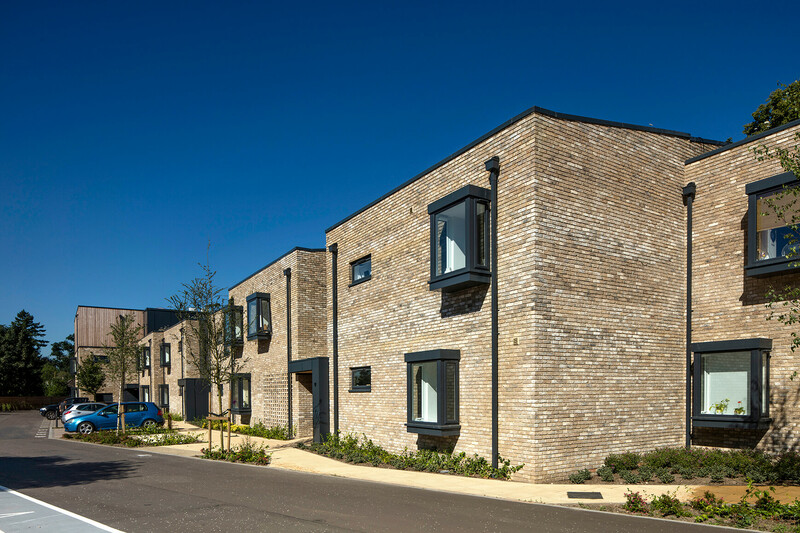 My main concern prior to moving in was noise from the motorway and being at the back of the development can't even hear a car which clearly reflects the quality of design and build, very peaceful indeed." 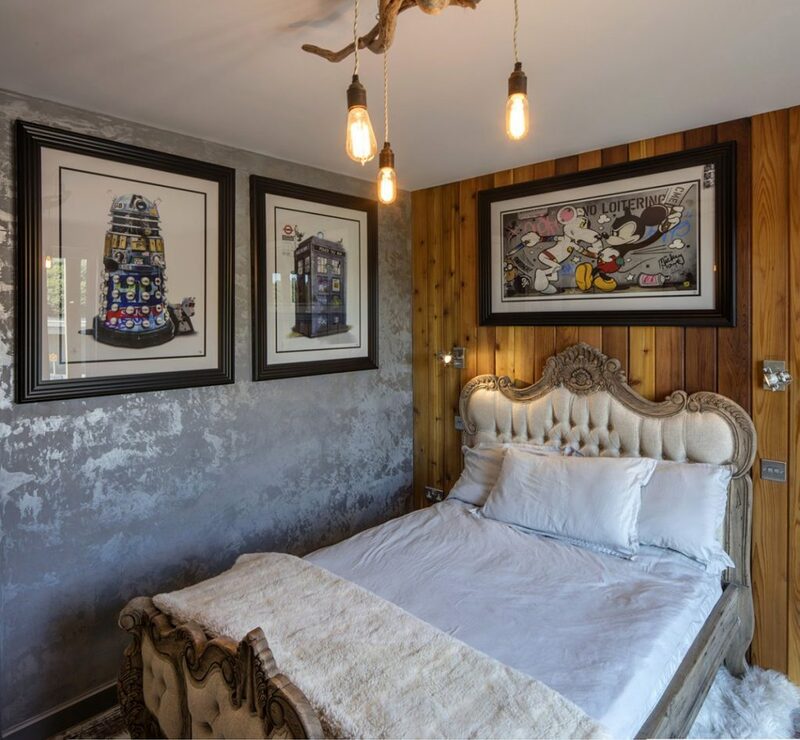 "We cannot easily put into words just what it is like to buy a flat in a development designed and built by Clayton Lyon and Developing London – just that it has been enormously rewarding and it's restored our faith in builders! Clayton's a rich mixture of decent human being, rare visionary, expert in style and design and a believer in the pursuit of excellence despite all the obstacles and hitches that inevitably present themselves during the building of a brand new development. He hand-picks his staff and to a man we've found them competent and good-mannered and a credit to him. 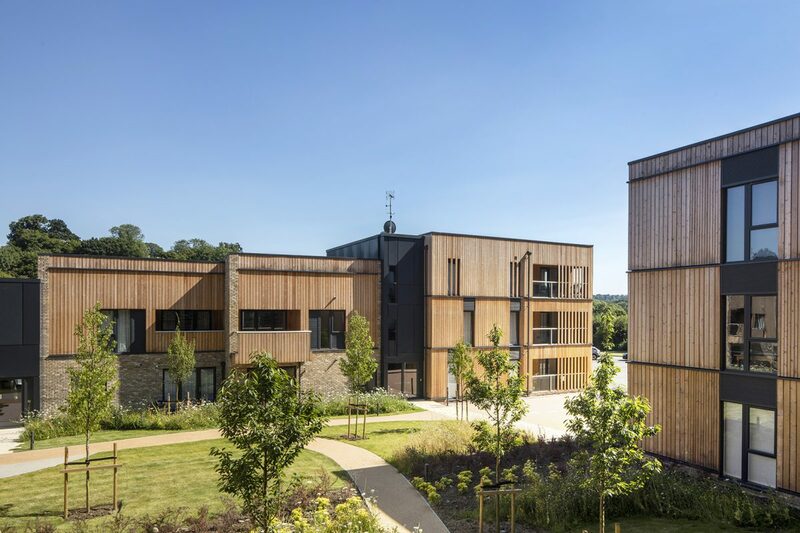 The whole site is now complete and the total effect is appealing and restful with its natural wooden finishing and beautiful landscaping with sympathetic planting of swathes of wild flowers and great choices of native plants. The flat's interior is a blend of simplicity and high tech with its modern air exchange system and top of the range secure entry system. We feel Clayton has wanted to give people the kind of living spaces he'd enjoy himself and we're so pleased to have been at the right place at the right time to benefit from his skill, hard work and originality. He is truly unique." "We have been in 2 weeks now and it really feels like home. Yesterday we had the snagging list done we could not be happier. I don’t want to gush but we are extremely happy and everything is well beyond our expectations." "I would just like to thank you for personally handing over the apartment to my Parents and accommodating their completion date. They were very impressed with your service level and explaining the detail in the apartment." "We were thrilled to see the finished flat, it is so warm and inviting. The fixtures & finishes are of an extremely high standard, which we did not find with all the other developments we looked at. We love Clock House Gardens and the surrounding village of Welwyn, and hope to be happy here for many years to come." 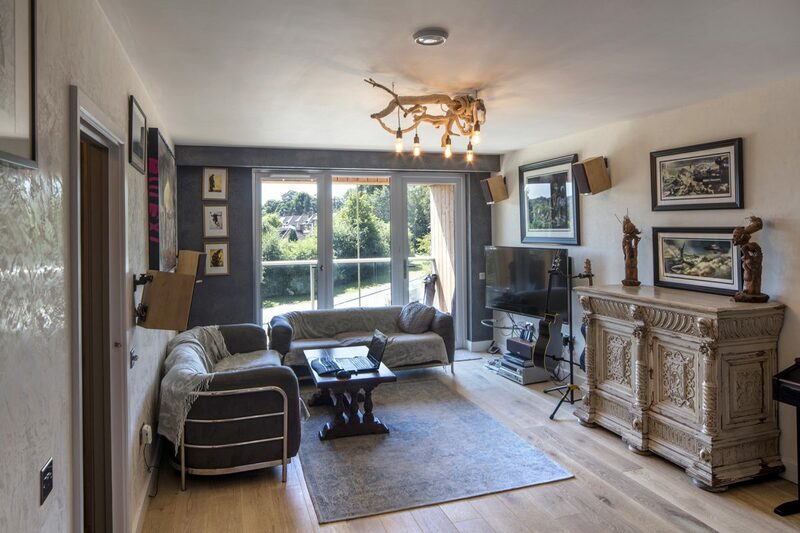 "A well laid out flat, finished to an exceptionally high standard. It's got the class of London living but set in a cosy countryside village. Developing London provided a superior professional service from purchase to completion." "I was one of the lucky people who has managed to get my foot on the property ladder at the Clock House development in Welwyn village. The design and build were undertaken by a company called Developing London. The company has used wood cladding on the outside of the building which myself and a few friends that have visited think it gives the development a warm welcoming feel even before you have left your car. Once you enter the buildings you can see from the workmanship and fixings in the hall ways that the company is more about creating something that will last than the bottom profit line. Once inside my flat I was pleasantly surprised how the square foot had been used to create a warm spacious living space with beautiful big windows at the right places to let in the light in while keeping my flat private. The finishing inside the flat is beautiful with real wood floors and solid kitchen & bathroom units. I would recommend a build by Developing London for friend or family without thinking twice. Yours one very happy resident."